Christ was there. Christ is here. A couple of weeks ago, I was having lunch with a friend and he shared with me a dark time he had gone through years ago. He was in the midst of a spiritual crisis, and he decided to move overseas and explore the world. Unfortunately, his move away from home only precipitated his fall. He fell in with the wrong crowd, he did the wrong things, and, one night, he found himself at a point of despair. Walking alone along a dark street, he cried out, “Jesus, if You’re there, I really need You to show up right now.” After making his way to a phone booth, he fumbled through the phone book inside, deposited his change, and called the first church he could find. The pastor of the church answered. The next day, the two of them had lunch. And thus began my friend’s re-awakening to the glory of God and the grace of Christ. My friend felt all alone on that dark night. But he wasn’t. Christ was there. In that phone booth. In the midst of the unrepentance, evil, and rebellion of the Israelites, Paul says, Christ was there. In that rock. The same rock which poured forth water in the wilderness for the Israelites to drink (Exodus 17:1-7). What a strange place for Christ to be! And yet, Christ was there. Origen’s words here certainly strain the bounds of responsible biblical exegesis. To so immediately equate Joshua with Jesus presents a whole host of problems, not the least of which is that Joshua was flawed and fallen (e.g., Joshua 9:1-14), something which Jesus was not. Thus, we must be careful in how we interpret biblical texts. However, there is a sense in which, contrary to what this scholar says, we can indeed find Jesus under every rock, for Jesus is the center, focus, and locus of the Scriptures. Indeed, in 1 Corinthians 10:4, we don’t just find Christ under a rock, He is the rock! Indeed, this is the very doctrine of the incarnation: that Christ shows up in the strangest of ways and places – even under rocks. Christ was there. In the phone booth of my friend. Christ was there. In that rock. Christ was there. In the manger. Christ was there. On the cross. And Christ is here. In the pages of Scripture. Christ is here. In the waters of baptism. Christ is here. In the bread and wine of Communion. Christ is here. In our hearts. Christ was there. Christ is here. 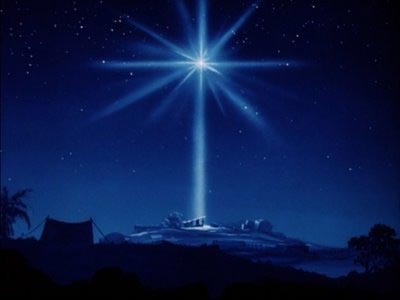 This is the mystery and glory of the incarnation – and of Christmas. Ben Witherington III, “Towards a Biblical Theology – Part Two” (11.21.11). Origen in Sidney Greidanus, Preaching Christ from the Old Testament: A Contemporary Hermeneutical Method (Grand Rapids: William B. Eerdmans, 1999) 86. Entry filed under: ABC Extra. Tags: Ben Witherington, Christianity, Incarnation, Origen, Religion, Rock, Spirituality.